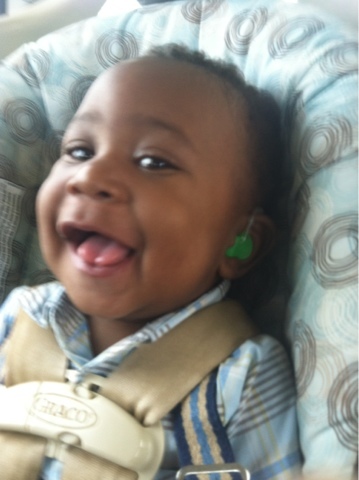 Jaylen finally got his hearing aids! 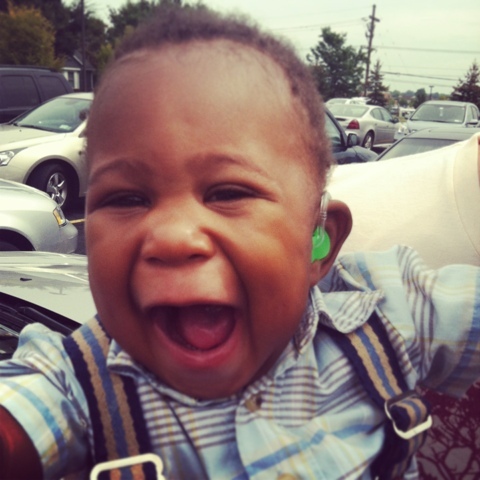 As you can see here... he is very happy about exploring the new world of sound! 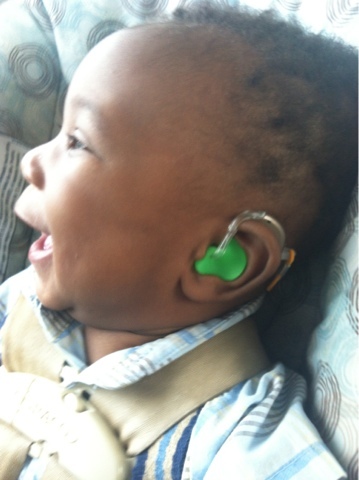 Here is the video from Jaylen hearing fully for the first time.